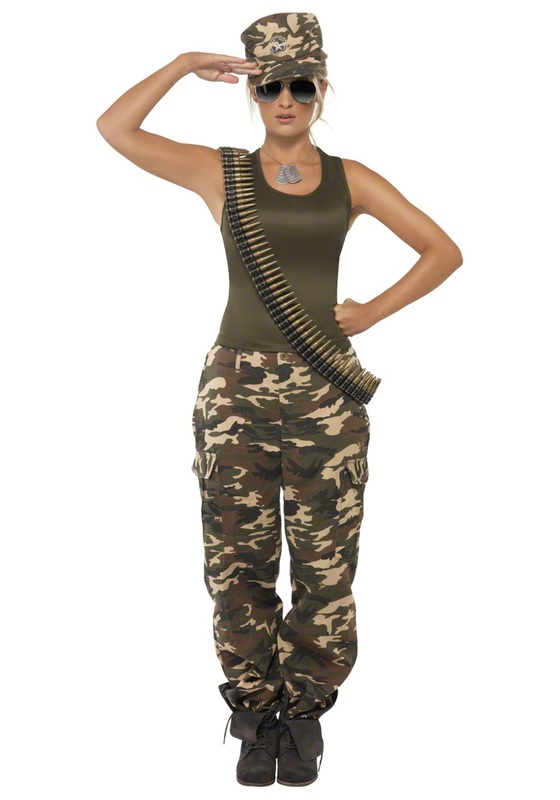 Your friend has been begging you to join her boot camp class at the gym. After weeks of refusing, you finally gave in and got yourself there at 6 A.M. As it turns out...you’re a natural! The energy. The discipline. The drive. The shouting of orders. After weeks, you’re now the one trying to convert your other pals to the heart-pounding exhilaration of this circuit workout. 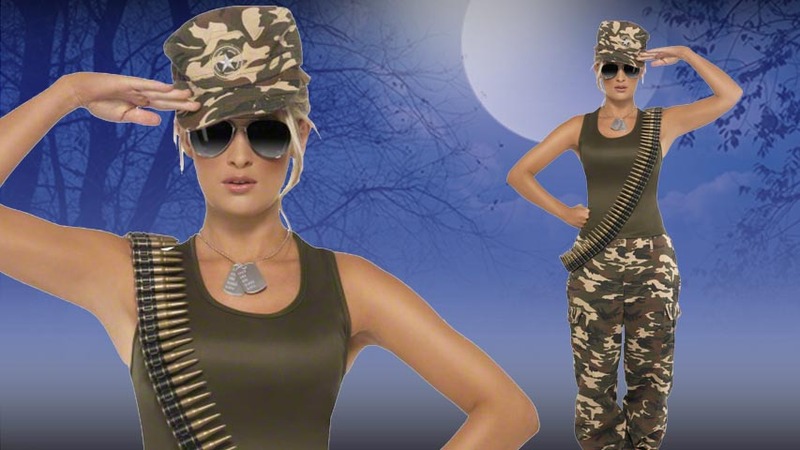 This Female Khaki Camo Costume, then, will allow you to talk about your new obsession all night long, whenever anyone asks about the inspiration for your outfit. Of course, we know your boot camp isn’t the same as Army boot camp, but we still applaud you for wanting to get up at dawn to do pushups. That’s nothing to sneeze at. That’s why we wanted to offer you this low-key look that pays homage to your hobby without all the heavy gear. Since you’re now so buff, you can easily help around the party with all kinds of tasks: taking out the trash, moving furniture to create a dance floor, even carrying your pal to bed (you never leave a friend behind.) 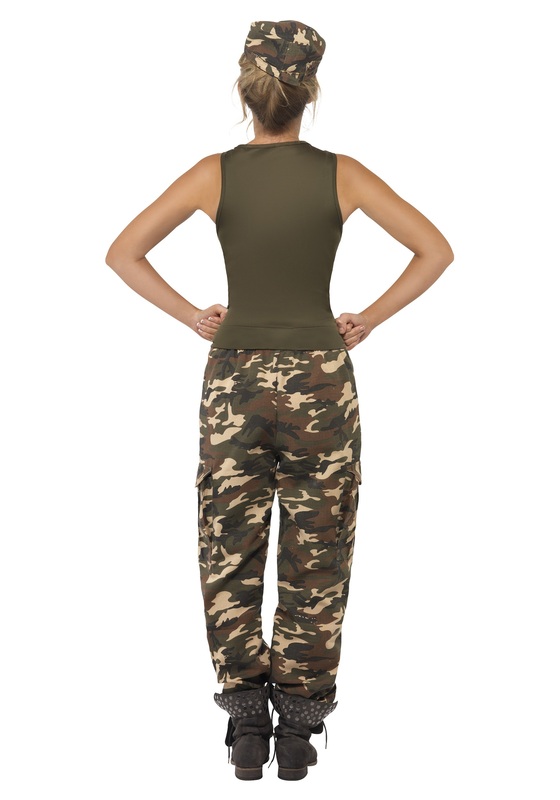 Add some flare like a hat and ammo to this simple tank top and camo pant combo, and get ready to march around all night, sharing your enthusiasm with everyone you meet. We salute you!